It is quite lucid that the truth remains a crime in an empire of liars like Nigeria. Nigeria is groping in the dark no doubt about it, swimming in the ocean of deceits and now led by a race(North) that wants to hold on to power indefinitely at all cost. Now they have taken their deceits to the Whiteman’s land(USA) via the politically sponsored Boko Haram which Buhari himself invented to defraud America into acquiring ammunitions; I give them credit for that brave feat. This attitude of deceit is felt at all quarters in Nigeria. Even the so-called youths in their assorted youth forums have seen their existence in the forums as an opportunity of fixing only their individual lives and not the collective lives of the youths in the country. Now they have bowed into willing tools in the hands of the cabals who also have become their shields; like father like son. Indeed, the truth is behind bars in Nigeria. 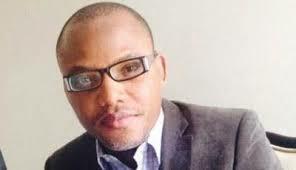 Barely a week ago in the wee hours of Sunday, the 3rd of September, 2017, the leader of the Indigenous People of Biafra, Mazi Nnamdi Kanu, a man who carries the book of truth and wields the sword of total revolution, revealed to the world that the man in Abuja as the president of Nigeria is one Mr. Jubrin from Sudan who has undergone a plastic surgery to have the same look as Buhari. In his words, ‘‘the person they brought to you in Abuja as Buhari is one Mr. Jibrin from Sudan. I can express myself in the public but the so-called Buhari cannot do so’’. Even Femi Fani Kayode, the lone voice in the wilderness, has found some differences in the attitude of the new Buhari to that of the old one. A careful observation of his pronunciation will tell us that the way he pronounces some words is not the same with the old Buhari. Even international news media carried the report of Buhari’s death. It should be noted that this revelation from Kanu, made the northern cabals to be on the offensive against him. The same week this revelation came, the cabals sent their military men who were armed to the teeth by the United States government to go and invade Nnamdi Kanu’s house in order to kill him. This is to stop him from revealing the secrets of the northern cabals. Unfortunately, they were resisted by Biafrans who used clogging of hands to obstruct them from trespassing. Still many Biafrans were shot dead. Recall that the DSS invaded his prison room in Kuje to kill him when it is obvious that they cannot subdue him into surrendering the struggle for the restoration of Biafra through their manipulated and compromised judge, Justice Binta Nyako. Their evil move was laid down to rest when IPOB alerted the world over such an outrageous and barbaric act from Nigerian State Security. It is now obvious that whenever the truth is laid bare in an empire of liars like Nigeria, the person responsible for it gets keelhauled for that. Charles Chukwuemeka Oputa popularly known as Charly Boy cannot finish telling his ugly and bitter experience following what he passed through in the hands of the Nigerian government through her military. Charly Boy, after he almost met his death while staging a "Resume or Resign" protest against the government, went further to confess on social media, ‘‘now I know what IPOB members are going through in the hands of the Nigerian military’’. Another Nigerian popular singer Two-Face Idibia, out of fear withdrew from staging a similar protest he has already scheduled to hold. This is an act of cowardice from an Oduduwa man and a typical example of the character of an average Nigerian citizen. Out of fear, the youths are giving the politicians feathered-beds to thrive in their evil deeds. As Mazi Nnamdi Kanu would always say that the only difference between a black man and a white man is the ability to reason and to comprehend, I think Nigerian youths should be blamed for their woes. The Nigerian media outlets should also be blamed because they are the core cause of the problems the people are facing. For the fact that they are been compromised financially by the Nigerian government to report and spread lies, deceit and not to condemn evil. I pity the Nigerian youths who keep watching helplessly as evil goes on and on. For Biafran youths, we have vowed to make things right. Let other youths of the other constituencies that make up Nigeria continue being fooled by their leaders, Biafran youths have conquered their land and determines what happens in the land of their ancestors. There will be no more Nigerian election in Biafra land if the Nigerian government fails to give us a date for referendum.